A beautiful mid Victorian chaise longue. 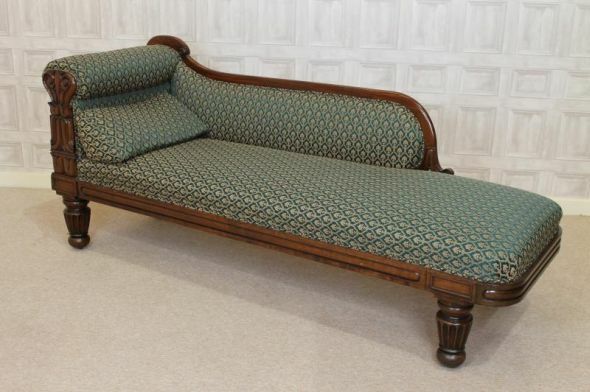 This mahogany chaise is in beautiful condition and covered in a lovely emerald green and gold material. There is elegant carving to the back support, and the chaise stands on turned and fluted legs with counter sunk castors. An ideal piece of furniture for any period property, living room etc.